What if the FODMAP diet was more art than science? The thought hurt my brain. After my deep dive into the FODMAP diet research, I knew I needed more help. So I reached out to Dr. Allison Siebecker. If you remember, she’s the wicked smart SIBO researcher who’s working tirelessly to tie the ideas of bacteria overgrowth, food and digestion together. Carbohydrates have been studied for 100+ years with a skeptical eye that they contribute to digestive problems. FODMAPs takes this a step further. It’s another viewpoint showing that carbohydrates can be just as painful as healthful. And it’s backed by a growing stack of research papers and effective treatment trials. What Are the FODMAP Carbohydrates? The science of FODMAPs starts in the name: Fermentable Oliogosaccharides Disaccharides Monosaccharides And Polyols. For many reasons, these carbohydrates are easily fermented and the byproducts of this cause digestive pain. But as we’ve discussed before this is very individual and the quantity consumed is very important. Before we advance, we must return to the beginning. Getting the fundamentals down will make the whole discussion easier. Let’s get technical one more time as it’s important to remember that saccharide really just means sugar. At a molecular level, the body must break down (digest) disaccharides and polysaccharides into monosaccharides to absorb them. Unfortunately, we can’t assume all monosaccharides are absorbed equally. Glucose is easier for the body to handle than fructose. And when it comes to the disaccharide lactose, the FODMAPs researchers have found it harder to digest than other disaccharides. 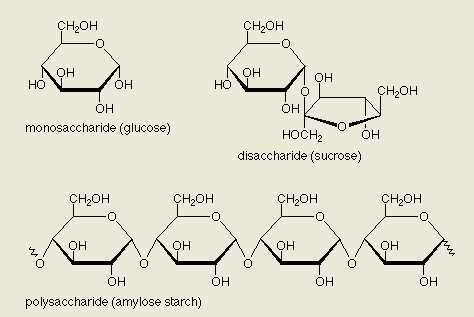 And of course when many saccharides are linked together (polysaccharide) it’s even more complex. And if this is making your head hurt that’s why we brought in Dr. Siebecker. In this podcast, Dr. Siebecker graciously took the time to deliver a scientific overview of FODMAPs. But the best part is she also covered the art of the FODMAP diet and how to actually use it to help your digestion. 32:33 How would you know if you had a FODMAP problem? Massive thanks to Allison for her time and knowledge. If you would like to help out please review our show in iTunes and don’t forget to subscribe while you’re in there to get the latest updates. Post Pic from this FODMAPS study. Awesome podcast guys, Thanks SO much. I’m sure just what many need to hear!! It touches of some really critical points that can easily be overlooked and subsequently potentially undo all the good one does in following these similar overlapping diets. Dr. Siebecker fills in a lot of “gaps” (no pun intended). She covers seemingly little things which could in reality be big things especially for people with SIBO. Is anyone familiar with The Fast Tract Diet?? It has some great points also. It scientifically measures the FP (Fermentation Potential) of a whole range of foods and indicates which ones are likely to prove problematic to people who experience SIBO. This is yet another diet that overlaps with SCD Fodmaps etc. and I’m a bit surprised I didn’t see anyone mention it in the bog. 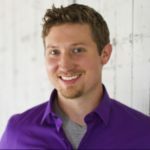 What’s interesting and encouraging is that I decided to try a further experiment (something I do a lot) by integrating parts of SCD that I find effective with a more precise application of FODMAPS and did this before I revisited this website and became aware of the others on this blog who were doing the same thing. The discussion really clarified some things for me, things I was inadvertently doing which I now see were big blunders in the past. So although I have learned heaps over the years, and although I have made made awesome great progress in recovery by adopting a customized version of SCD, I am finding that the more I integrate it with the good principles of FODMAPS the better I feel. I agree with another comment in that the good Dr. has a knack of explaining complex things really well and in a way that are easily understood. Love the way she used the “Night Club” analogy to illustrate fructose malabsorption. People at the door of the Night Club wont allow everyone to go in if they “don’t know who they are”. But if someone is friends with a celebrity they can get in through them. This illustrates really well how fructose (which in the case of SIBO the gut doorkeeper may not recognize) can hop on and ride straight in (be absorbed through the GI tract) so long as its friends with glucose. Well said. Dr. Siebecker also comes across as if she really has a lovely, kind and courteous spirit about her also. Get her back on the show!!!! Oh yeah, has anyone out there tried that?? For instance has anybody with fructose mal absorption tried, say, eating a couple of pieces of fruit they normally would react to with a Tbs. or two of sucrose?? I have been on the gaps diet I’ve tried autoimmune paleo protocol. Nothing helped my seborrheic dermatitis and dandruff as well as gas, bloating etc. I wonder if Fodmaps could be an issue. Do you think low fodmap diet can help with my dermatitis? Hi Tim, it is most likely a combination of diets that people need to get healthy. In other words, it is the “Tim” diet. We encourage you to use GAPS or the SCD diet as a basic framework, and then start to adjust it to your needs. Perhaps you can incorporate some of the FODMAP principles and see how you do with that. Wow, loads of helpful info, especially re comparative diets, but hard to take in aurally. Is all this info in a particular book? And is the “flow chart” mentioned now posted on this site? If so, where exactly? In the meantime, I plan on listening to podcast again. Thanks so much for posting it, and the rest of site, which is very informative! This is the best explanation of fodmaps ive found, thank you! Hi Steve and Jordan. Great information here. Dr. Allison Siebecker is wonderful and so passionate about what she does. Just wondering though after reading some info and listening to podcasts from Christa Orecchio (she is a certified nutritionist and wellness coach) if some people haven’t had as much success with SCD and FODMAPS Diets due to Candida overgrowth. Could this be something that people would want to address first? She explains it so well and there is a diet (or food plan)for ridding the body of Candida overgrowth that lasts about 8 weeks. Really curious about your thoughts on this. Thanks for posting such great information. Hi, thank you for reaching out! Please email us at support@scdlifestyle.com for help with any technical difficulties and we will be happy to assist you. Hi Steven and Jordan, Up until about 4/5 months ago, I didn’t really have any major digestive issues, at least nothing I noticed out of the ordinary. Then menopause really hit and hormonal imbalance really affected my digestion, which I read is common in women in their 50s. I went to a naturopathic doctor, who thought my symptoms showed a gallbladder problem but ordered a SIBO test anyway. Results came back as “SIBO suspected” as opposed to “positive.” I have an ultrasound/endoscope scheduled for August. My family doctor wants to see those results before prescribing antibiotics. I’m taking Berberine in the meantime. My question is can symptoms of SIBO mimic other infections/disorders? Thank you. Thanks for reaching out! Sorry to hear that you’re having a difficult time right now. Such an amazing and helpful podcast. I am confused (still) about the bone broths in the intro diet on SCD. It is recommended to use a more meat based broth rather than use bone and cartilage for the intro diet but the Chicken Soup recipe provided in the e-book states to use chicken with bone, cartilage and skin and strain them out after cooking. Is this not considered bone broth? I would really appreciate knowing. Thank you! I am interested in the answer to Marianne’s question too. I get really confused with trying to do low FODMAPS as well as GAPS or SCD. I lose weight very quickly if I restrict too many foods and then I just get really stressed and crave junk food. This was such a helpful podcast, thank you so much! I had a question, I just started the ‘Elemental Diet’ (homemade version) from Dr. Siebecker’s website. This is a diet for people trying to cure SIBO. I was confused and a bit concerned about the directions to add 2-3 Tbs of honey for the shake taken 3x/daily. I was curious why this honey would not feed the SIBO issue, and in this episode (sorry if I missed it) but I wasn’t sure why it is that fructose or glucose wouldn’t be eaten by bacteria in the gut? Is it that if a person did not have SIBO (therefore no bacteria in the small intestine) the fructose and glucose would be absorbed through the walls of the intestine and never reach the large intestine, where it could be fermented? Yet still, a person with SIBO then could be potentially feeding those overgrown bacteria in the small intestine, no? I’m quite concerned. Just started the elemental diet and still got a pretty distended gut… which worries me. I don’t think I mal-absorb fructose; I haven’t eaten any sugar or fruits for 2+ years. I tried the FODMAPS with a dietitian overseeing and could not make it past the elimination phase. I tried going even 3 weeks but my symptoms got pretty bad. It’s really sad because that diet has much less limitations than SCD. This time I will follow SCD with the hell of the SCD Lifestyle book. My last attempt at SCD was rough because I couldn’t find out how to challenge foods back into the diet. Speaking of which – the SCD and FODMAPS are simar because they both start with an elimination which is followed by a challenge phase where you reintroduce food back into the diet. I am still on SCD intro and hope to try to reintroduce cookies and cream ice cream first – 🙂 yeah right! The SCD Lifestly podcast 4 was a good help with the tips on the challenge phase. I won’t be reintroducing sugars/apples first. I guess I will try spinach. Loved this podcast. I enjoy most of them. I am just on week one of the SCD Diet and so far doing great cannot beleive how fast you see a change it is amazing. Look forward to healing myself with help from you guys !! Great work !! Simone, are you taking HCL? Your symptoms sound like you have low stomach acid. You are bloated and full because you aren’t digesting your food and it can’t empty into the small intestine. Try avoiding FODMAPS and also HCL. It can make a huge difference. Great interview. I have just been told to go on the FODMAP diet by GI. Although, I did not know you need to dive into a 100% from the get go…so that’s good to know. Any suggestion to get a good rundown of how to dive into the diet. I actually brought the booklet by the creators from Monash University (from my home town) but it’s a bit brief, and actually other FODMAP booklets have different foods that can and cannot be taken…so I am confused. I have a question, I have had lactose and fructose absorption test which both came up negative, but I find that high fructose (especially watermelon) and lactose (especially rich dairy) give me terrible cramps and gas. So can you malabsorb lactose and fructose even if tests come back negative? I also notice I get very itchy in a certain spot, after some foods (although to be honest I haven’t really figured out which ones), but I feel sugar is the main culprit maybe wheat as well. I am also going to have a gastric emptying study, as GI think I have a problem emptying my stomach, as my upper stomach is so bloated and full all the time and very uncomfortable…could yeast infection cause a bloated upper stomach and intolerance’s to food that I am supposedly able to absorb? I really want to thank you both (Steven and Jordan) for all the information you share here at the SCD Lifestyle blog. I believe your information about SIBO has quite literally saved my life. I have been suffering from digestive issues all my life but the last 2 years have been the worst. I have iron and b12 deficiency despite my whole traditional WAPF food diet. I have been tested for celiac and h pylori, had colonoscopy and endoscopy and still no diagnosis or explanation for my troubles. I have been on GAPS for months and can’t get off intro and am intolerant of many allowed foods. While the diet helped, I still continued to decline. Since my doctors found nothing they did not offer any treatment. Finally I read your info about SIBO and links to Dr. Siebecker’s site. I tried oil of oregano for several weeks now and have had great improvement. I think 2013 might be the year I finally get well again! A very heartfelt Thank-you to both of you! Awesome Marnie – thank you so much for sharing your experience with us and let us know how you’re doing! I’ve had UC for 7years now… Been Paleo for 8months but it just wasn’t cutting it. Been SCD for 3months and I can feel a difference. Talking about carbohydrates here… I eat A LOT of winter squashes… butternut, buttercup, acorn, hubbard, and kaboocha is my favorite (sort of like a dense sweet potato). I usually mix with a tablespoon or two of coconut oil and a dash of Real Sea Salt (another favorite). My stomach acid is super low and I’m taking 6 BHCL. I may have to bump it up even more. Can eating too much winter squash be bad? I eat 3-4cups a day. 2 months ago I tried Xifaxan to try and “clean house” and start fresh with some probiotics and 24hr yogurt. Well, apparently I was allergic and I’m going on two months of itching all over my body… That’s a whole different horrible story. Dermatologist hasn’t figured it out yet… Anyway, I’ve tried prednisone a few times to try and get rid of the itching, so I’ve had to take it easy on the BHCL, but I certainly can tell a difference. I still have some bleeding and looseness and can’t figure it out… I’m 100% SCD. I eat all sorts of meats, winter squashes, olive and coconut oil, homemade applesauce (1cup a day), taking a GIProbiotic, and have tested and handled reasonably well cooked spinach, green bean puree, carrot puree… I know I’m just a tweak away. Remicade did nothing for me. I stop taking Immuran 8 months ago, after 6years. I’m not having flares and my urgency isn’t bad… Just a little blood and looseness. I don’t know if I’m healing right now and it’ll just take time to see more improvements… I’m feeling stuck at the moment. I’m surviving, just not thriving. Hi Kyle, you’re doing awesome, hang in there! Food isn’t always the culprit…. Scented laundry detergent, fabric softener, dryer sheets (or doing laundry in a machine with residuals), especially Febreze-based products, and laundry soaps specially formulated for delicates, DWR finishes etc. Beware of uniforms laundered by an outside company. Shampoo, conditioner, body soaps–especially those used in the shower. Antiperspirant, make-up, perfume, cologne, sunscreen, bug spray, hair products and colorants. For guidance, consult the Environmental Working Group (ewg.org) website ‘Skin Deep’ section. Launder new clothes & bedding 1-2x before wearing to remove chemicals. Some natural fibers can make us itch or cause allergic reactions; some man made fibers keep our skin from breathing well, trapping moisture or product residue against your body and creating a firestorm of discomfort. Herbal products or teas and prescriptions that cause photosensitivity can create a red blotchy, rash in some people. Pet cats, birds, dogs, etc. Maybe you’re not allergic to them, but they may get their ‘hair done’, and have medicine rubbed onto their coat against ticks, chiggers, or fleas. Lawn care sprays; home/apartment sprays against cockroaches, fleas, termites, or any kind of fumigation. ; dry cleaning solvents; chemicals released during remodeling whether they off gas from new flooring or hardwood floor refinishing, wall coatings, etc. New furniture, mattresses, & cars have retardants & protective sprays for use or before shipping. Swimming in an improperly maintained pool or hot tub. Sadly, if your sweetheart uses or wears scented stuff and you’re in close contact…you may be reacting to products they use. Being in the intro phase of SCD and having some trouble i was fearful when i looked at the FODMAP list and how the things i was not feeling really well after (the increased amt of butternut when i got to 2 cups per day and the extra grape juice and/or gelatin) were on the mid to high FODMAP list…but listening to this post made me feel better. It reminded me of what you said about not having to rule the foods out forever…just to wait a bit and start with slower amounts, etc. I bought the SCD meal plans and have been firm on following them…guess i’ll have to break my rigidness and go to some spinach and some zucchini as low FODMAP veggie options for a bit, then try lower amts of butternut again. Tricky part for me is that i’m diabetic – so i need some fast carbohydrates at times for low sugars and was using the grape juice, honey, and/or butternut for that when my sugar was low. Hmmmm….maybe ripe/spotted banana sooner than i had been thinking/than the meal plan shows? @Sabrina – Sure why not. The meal plans are great, but they are just a plan. Trust your intuition and body and create the custom diet and lifestyle that is going to work best for you. Awesome interview. Dr. Siebecker has quite a knack for making the complex appear simple. @Debbie – your welcome thanks for the comment and make sure you thank Dr. Siebecker for the time she put into this podcast! We need everyone to give her as much love as possible so we can get her back on. I’m also having troubles with broth: nausia and belching. In the podcast Dr. Siebecker advices to avoid broth in the beginning because it contains FODMAPs. I wonder how one would do the SCD introduction diet without broth. Could you guys perhaps shed some light on this? Thanks! @Niels – You’d do just like our free starter guide shows. Using the SCD chicken soup with is more of a meat based broth and not a bone based broth. Then after a few weeks of healing you’d start to make bone broths and introduce them. Try the plan in our eBook it works for most people. I would try leaving out celery, onion, and garlic as they are fairly common food intolerance/mild allergy. They make me really sick in broth. If i leave them out i am fine. I can tell you that the celery was a hard one to figure out. These three substances are also well known for causing dermatitis on your fingers when your cut them. If after you cut of celery garlic and possible onion you get excema on your fingers you will probably not tolerate them internally either. This is the case for me. hello. Ive read that Making bone broth from bone marrow and meats makes it tolerable for ppl with gut issues. I guess making broth with cartilage is the problem because of the carbohydrates in them. Im going to give it a try. Hi Chris – the glycosaminoglycans (GAGs) is bone broth can cause problems for some people, especially those with SIBO. Let us know how this works out, we’re interested to hear!! Thanks for replying and your advice, Steve, I’m trying to find it in me to try something that will help. I gave GAPS a try earlier this year, but very quickly became really sick. Threw up violently all night long. Have you ever had something like that happen and simply can’t face that food again? Hopefully I will be able to look at broth at some point but it hasn’t happened yet. Well, how can you do any of these healing diets without bone broth? I think I also came across some information that getting sick on bone broth gives some kind of clue as to what is wrong. Problem is I can’t remember where I read it. There’s always the possibility that I had a touch of food poisoning too. In the mean time, I just try my best to eat real food, buying the best quality I can afford. I’ve been diagnosed and on meds for UC for 9 months now. My symptoms have improved but I’m not getting perfect poops. I’m worried that my diet is becoming more and more restricted. I do consume white rice, is that considered a ‘toxic grain’ for IBD and if so, could you explain why? I don’t consume liquid dairy but I feel good eating raw cheese and also butter. I also get fats from coconut oil, olive oil, pastured animals. I’m avoiding fibrous veggies though lettuce and spinach seem fine. I eat cooked gr. beans and squash. I’ve been eating tomatoes but I suspect they might be giving me stiff joints when I eat a lot of them. Sweet onions seem fine but not other types of onion. Thanks again, I’d really appreciate some direction. @Heidi – You sound like what we call a “tough case” meaning you need to take things slow and you need a lot more supplement help than most. SCD does not encourage bone broth in the beginning like GAPS. Which is one of the reasons many cannot complete GAPS. Because they need to start with a meat based broth like the SCD intro soup and then after some healing add in some bone broth. I would highly encourage you to try our methods laid out in the eBook and digestive troubleshooting course. You’ll have plenty of time to return them if needed but my guess is your health will be so good you won’t think about it. Such great information. Thanks guys for being so positive and informative. I feel so motivated just listening to your message. How likely do you think that FODMAPS are an issue for me? I have UC but no pain, gas or bloating, even when I was bleeding. It’s so difficult to wrap my mind around even temporary food elimination. I am eating GF but it took a few years to get there. Finding out I had UC gave me the final push. I think I’m too much of a food addict. Thanks for what you’re doing! @Heidi – Thanks for the nice comment it is appreciated! Most people who have a FODMAP problem complain of gas, bloating and lots of stool problems. Just because you don’t have them doesn’t mean eliminating those foods might not help I just think it wouldn’t take priority for you because your not presenting a typical pattern. Instead you might see faster changes trying SCD. Eliminating toxic grains and other toxic foods that are still “okay” on a GF diet. Just an amazing and for me really the best podcast ever!! Thank you so much for you great work! Very inspiring and very helpful! !